Preventing ArcMap from labeling when creating grids? I am using the Create Polygon Grid Wizard to make a large number of grids. Is there anyway I can stop ArcMap from drawing the grid labels as they are created? It seems to take much much longer to create the grids because the labels are constantly being drawn. I still want them created but not drawn during the creation process. 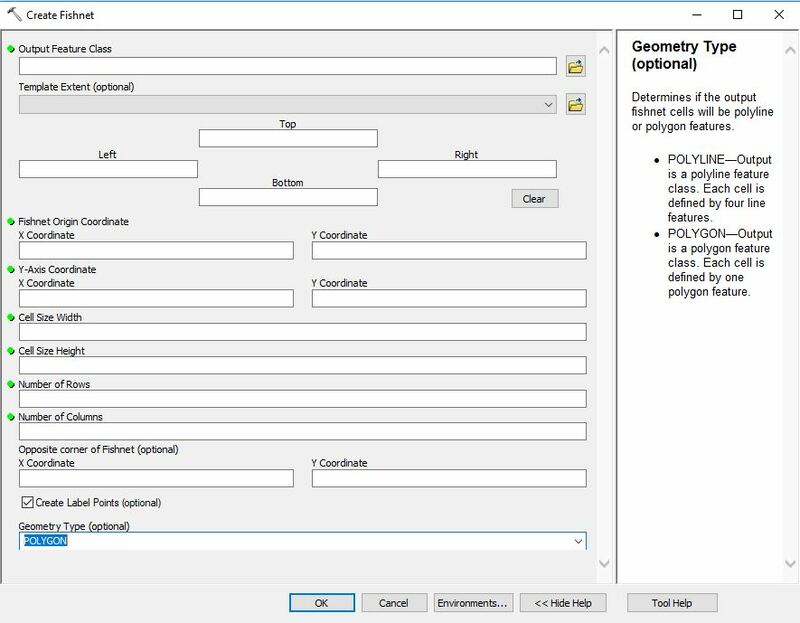 I am not familiar with the Create Polygon Grid Wizard but have you tried the Fishnet tool in ArcMap. This tool will create a grid of any size or dimension you need and can create a grid of both polylines or polygons. You can also use another geometry as an extent template. There is an option to create label points as a separate layer at the centroid of each grid box if you wish to. Turning the label layer off would prevent them from being drawn each time you refresh the map but I have never had a slowness issue with this feature. Hope this helps. Not the answer you're looking for? Browse other questions tagged arcmap labeling vector-grid or ask your own question. How To Turn Off Map Drawing When Using Python in ArcMap? Using Append tool in ArcPy with Edit Session? Labels are loading slowly in ArcMap?